We strive to provide the most professional game environment for our members. The official rules were written with that goal in mind. The official(s) shall determine and advise the team captains of any special rules of play that may be required by virtue of unique architecture of the facility prior to a game. Such "house rules“ shall be binding only as to the specific game then being played and may be altered as to any subsequent game, whether or not involving either team then participating or those officials. Except as noted herein, the game clock shall start no later than five (5) minutes after the scheduled starting time even though the actual game may not yet have commenced. A team that does not have the requisite number of players (four) within ten (10) minutes of the designated starting time will be charged with a forfeit and all sanctions applicable there to shall apply. Should both teams be in default, the game shall be declared a "double-forfeit". Exception: In instances where gym time is reduced due to unforeseen circumstances not in control of the League (e.g. late running activities, inclement weather, lighting or other structural problems in the gym), the referees may, in their discretion, after notification to team captains, constrict the length of games in such way as to ensure a fair allocation of play for all teams scheduled that night. A team shall be allowed to commence and play a game with four players if a fifth is not available. A team with five or more players can elect to start and play 4-on-4 or 5-on-4. Should a team choose to start with four players, it can insert its fifth player at any dead ball during the game. A game shall consist of two 22 minute halves and a two-minute intermission between halves (provided that the second half may commence sooner in the referee's discretion if both teams are ready to play or exceptional circumstances exist). The first twenty-one minutes of the first half and the first twenty minutes of the second half shall be played without stopping the clock for any reason other than an officially-charged time-out or an official's timeout. During the balance of each half, the clock shall be stopped on all whistles. Clock will stop on made baskets with under a minute left in the 2nd half or any overtimes. If play is interrupted by an injury to a player or the loss of a contact lens, the referee may, in his discretion, stop the clock but in that event may assess a time-out to the team responsible for the delay in play. If a team leads by fifteen (15) or more points at any point during the last two (2) minutes of the second half, the remainder of the game will be played as running time. However, should this lead fall under fifteen (15) points, the game will return to stopped time. In the event of a tie at the end of the second half, an overtime period of 3 minutes shall be played during which the clock shall be stopped on all whistles in the final minute. If, at the end of the overtime period, the score is still tied, additional 3 minute overtime periods will be played until a winner is determined. Each team shall be allowed three one-minute time-outs per game plus one additional time-out during the first overtime period only. Time-outs do not carry over to the overtime period. No time-out shall be permitted after the first overtime period. A player shall be disqualified upon committing his sixth foul of any type (including technical fouls), or his second technical foul. Any flagrant, unsportsmanlike foul shall result in two free throws, automatic ejection and loss of possession. A technical foul shall be counted as a personal foul as well as a technical foul. A player disqualified as a result of unsportsmanlike conduct shall promptly leave the vicinity of the gymnasium. His failure to do so shall result in automatic forfeiture by his team, in addition to disciplinary action against the player and/or his team as deemed appropriate by the League Commissioner. If there is no available substitute for a player disqualified on fouls (either because of a shortage of roster players at the game or because of previous disqualifications or injuries to other players), then such team shall have the choice, with the approval of the referee, to continue playing with five players including that player who has just committed his sixth foul (provided that such player has not been charged with two technical fouls), or to play with only four players. Such election must be made at the time the fifth player commits his sixth foul. If the team elects to continue playing with five players, in addition to the normal penalty, a technical foul shall be assessed against that team (but not on a player or coach) on the sixth foul and each subsequent foul committed by such player, and the penalty for such technical foul shall be two free throws plus possession of the basketball following any free throws attributed to the personal foul. The choice of whether to proceed with the disqualified player or with four players shall apply after each such subsequent foul by that player. If a team has multiple players disqualifed, their opponent has the right to choose which disqualified player can return to the game under the above rules. Free throws shall be awarded as under NCAA Rules, except that if an official determines, in his discretion, that a foul was committed intentionally or recklessly, with obvious risk of physical harm, the official may assess, in addition to the normal penalty, a technical foul against the player. If a team knows it will forfeit in advance of a game, it shall notify the opposing team captain and the League Office. No postponements will be permitted unless express permission is granted by the League Coordinator. The officials have authority and control over all aspects of the game, as defined by the NCAA Rules, as well as over all supervisory functions at the gymnasium. The referee has the discretion of declaring games a "no contest" or a "forfeit", as defined by the NCAA Rules and the League Rules, above. Officials' decisions, even if in error, are not protestable. However, alleged errors of judgment, misinterpretation of rules or misconduct by officials should be brought to the attention of the League, which will take appropriate action administratively. Protests that are based on factors other than an official's decision or conduct should be made in writing to the League office. A favorable ruling on a protest will result in the protesting team being awarded a victory or the game being declared a "no contest". Games will not be replayed unless the Commissioner determines that unusual circumstances so dictate and the League is reimbursed the costs of such additional game. Reversible jerseys approved by the league with numbers on front and back (T-Shirts with numbers are NOT permitted). A technical foul will be assessed for each player who wishes to compete with an ineligible uniform (absent such a waiver). After week three (3) of a season, the League Coordinator has the right to refuse participation to players not in compliance with uniform policy. Official Ultimate Hoops jerseys may be purchased through the Life Time Fitness website. Each team participating shall, prior to the season's commencement, submit to the League Office a roster listing all persons who may play for such team. Each team must have a minimum of seven (7) rostered players. All Adult League roster members must 18 years of age to participate. Each such person, as a condition to participating, must have first executed and submitted to the League Office the standard waiver form provided by the Office. Additions to rosters are permitted only in the discretion of the League. Such roster changes must be made by the date specified by the League. No additions may be made to rosters after a team has played it’s fifth regular season game. NOTE: For the Minnesota Recreational Division, deadline is Week 5 regardless of games played. In order to be eligible for the playoffs, players must appear on the team's submitted roster and participate in at least one (1) regular season game. Players may be required to show photo identification prior to participating in any playoff game. The League Coordinator retains the discretion to waive any of the foregoing eligibility requirements or to bar participation by any person in specific instances if they determine that the best interests of the League will be served. 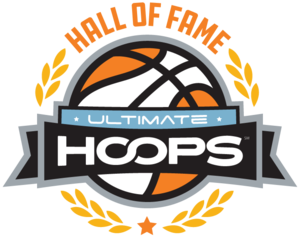 You must not have any competitive basketball experience beyond the High School level, or be at least 40 years old at the beginning of the Ultimate Hoops Season. 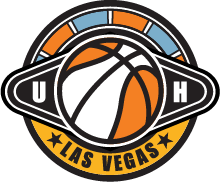 The term "competitive basketball experience" means playing experience of any kind (practice or otherwise) for a team presided over by a legally recognized collegiate, semi-professional, or professional governing body. If your name appears on a roster for a team that falls within these guidelines, you are ineligible for a Recreational League roster. In the case of a player with a common name being found to appear on a team roster, league representatives (i.e. Coordinators, Player's Committee, GM's etc.) will determine if there is reasonable evidence to revoke the player's Recreational League eligibility. A player with a common name that appears on a roster will be afforded the opportunity to prove that he is not the player listed on the roster in question. If evidence (a picture showing a player on a team, an internet article, etc.) is brought forth that directly implicates a player as having experience which would make him ineligible for a recreational League roster, league representatives (i.e. Coordinators, Player's Committee, etc.) will review the evidence after it has been formally submitted. The League Coordinator retains the right to suspend or expel without refund from future participation in the League any player or team whose conduct is unsportsmanlike, inflammatory, or tends to reflect unfavorably on the Ultimate Hoops League, Life Time Fitness or its member, and to take such additional action against his team as may be appropriate, including expulsion from the league without a team refund. Any player who has accumulated 5 technical fouls in one season OR been ejected (for technical or flagrant fouls) twice in one season will be suspended for the next game in which their team plays. Each subsequent technical or ejection will result in an additional game suspension. If a player receives their fifth accumulated technical, but not an ejection, during a game, they shall be suspended for the following game. Any player who is suspended is not allowed to attend games until their suspension has ended. Any player who attends a game while under suspension will result in a forfeit for their team. If there was no head-to-head game, win percentage against common opponents will be used. If teams are still tied, the team that has allowed the fewest amount of points (points against) shall win the tie-breaker. If a team has won a game by forfeit, their points allowed for the forfeit shall be counted as the average amount of points they have allowed in non-forfeited games. If a team has lost a game by forfeit, their points allowed for the forfeit shall be counted as the average amount of points they have allowed in non-forfeited games plus fifty (50). Finally, if two teams are still equal, a coin flip will determine the higher seed. Fewest points allowed. If a team has won a game by forfeit, their points allowed for the forfeit shall be counted as the average amount of points they have allowed in non-forfeited games. If a team has lost a game by forfeit, their points allowed for the forfeit shall be counted as the average amount of points they have allowed in non-forfeited games plus fifty (50). Refunds can be issued to participants in cases of injury (a doctor’s note may be required), up to a teams’ fourth game. Participants will be refunded a pro-rated amount based on eight game season. Once a team has played four (4) games, no refund will be issued, regardless of the number of games the particular player has played. No refunds will be automatically issued; a request for refund must be made. A player who is issued a refund will not be eligible to compete in any further games that season.